Our Easter Performance was held on Palm Sunday at St. Mary's Church Wargrave. The idea behind this year’s concert and the music chosen was to give the audience the opportunity to stop and reflect on the universal human conditions of loss , grief , questioning , love , belonging and ultimately hope prompted by some of the most beautiful pieces of sacred music. 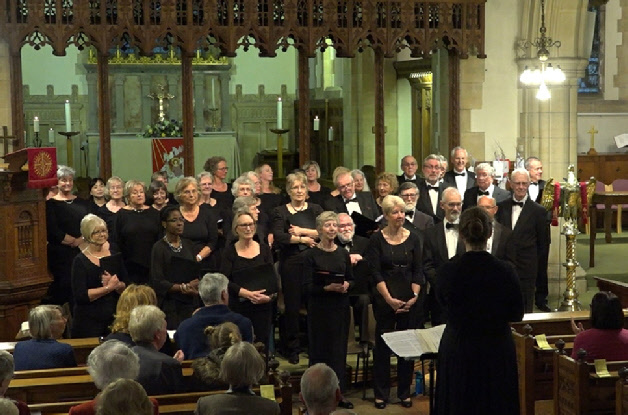 The pieces included excerpts from Stabat Mater by Pergolesi , with soloists and duets from choir members, and Greater Love hath no Man by John Ireland , of which musical director, Helen Styles, said : " It was really exciting to be able to sing this piece with a pipe organ accompaniment " . The refurbished organ was played by St.Mary's music director Peter Dart .
" The choir really rose to the challenge of the music and sang it with both passion and tenderness . She also added that : " Two highlights were Lord of the Dance , a gem of an arrangement tucked away in the 100 Carol's for Choirs, and Tallis' If Ye Love Me , both of which were sung unaccompanied . Andy Ferguson , who is a lay minister at St. Mary's Wargrave thanked the choir for a such reflective programme. Several members of the audience commented afterwards on how the programme reminded them of their days as choristers. 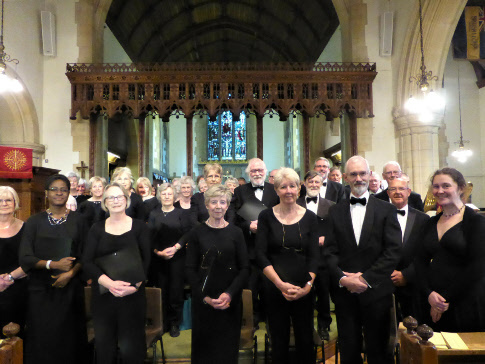 Lloyd Scrivener, Chair of Twyford Singers, thought it was a good opportunity for the choir to experience another venue in a beautiful location with such good acoustics . It was a joy to perform to such a large audience .